UPDATE: Based on comments below, it seems that Carlsberg is NOT gluten free. I'll leave this post up to warn others. Thanks for the comments! I recently went up to Mammoth Mountain in Northern California to celebrate my friend Travis' birthday. Before going up there we made sure to stop in at our local Trader Joe's to pick up lots of wine for the trip for me and beer for him and the other guests. While I've tried Redbridge and Bard's Tale, I haven't been impressed by either. I used to have acquired the "acquired taste" that beer requires back when I was able to ingest gluten; perhaps I've lost that after so many years of not having beer that my taste buds just aren't into beer anymore. Are any of you readers fans of these two gluten free beers? I'd love to hear impressions from other people who remember what "real" beer tastes like. We were joined on the trip by Aubrey, who is trying out the gluten free diet to attempt to alleviate some of her stomach problems. 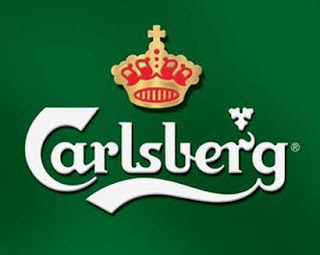 She did some googling and found out that Carlsberg is now advertising their light beer flavor as gluten free! Check out the official site here. I was too nervous to try the beer, as I wanted to read more on the subject for myself. Now that I've been able to scour the internet on my own, it seems that many gluten free people have had positive experiences with Carlsberg's light beer. I am venturing to the store today and will be sure to pick up some of Carlsberg's light beer to test it out for myself. In the meantime, do any readers have experience with it? Or any other gluten free beer suggestions? I've been tweeting with Glow Gluten Free for a long time, ever since I first reviewed the company's delicious gluten free cookies back in November 2009. Wow -- I can't believe it has been that long! Time flies when you're having gluten free fun, I guess. Anyway, she recently clued me in to a new product that would soon debut using Glow Gluten Free's amazing cookies. I recently had the chance to try out the new product, as it is now being stocked at Locali, a sustainable grocer in Hollywood. Since I last visited Locali their gluten free selection has definitely increased; they serve fresh Sensitive Baker cupcakes right across from an entire gluten free section. The new product, called Chill Baby, is a delicious confection made up of two Glow Gluten Free cookies with gourmet ice cream sandwiched in between. There were four flavors in stock at Locali: Gingersnap Pumpkin Cheesecake, Chocolate Chip Brown Butter, Double Chocolate Salted Caramel, and Coconut Chai with Snickerdoodle cookies. Luckily I had my friend Hilary along with me and we were starved, so we sampled every flavor. I am so glad that Locali is not closer -- these things are seriously addictive! Our favorite was the Double Chocolate Salted Caramel, which was absolute heaven. We did not like the Gingersnap Pumpkin Cheesecake; the flavoring didn't really work for us. Hilary enjoyed the Coconut Chai flavor and found it "refreshing," particularly when compared to the sweet flavor of the Double Chocolate Salted Caramel. The Chocolate Chip Brown Butter was also good, but again, our hands down favorite was the Double Chocolate Salted Caramel. Heaven. My only complaint about Chill Baby is the price. These sandwiches rang up to about $5.65 for each one. I know, I know -- this is a complaint that I could levy against many of my favorite gluten free shops. 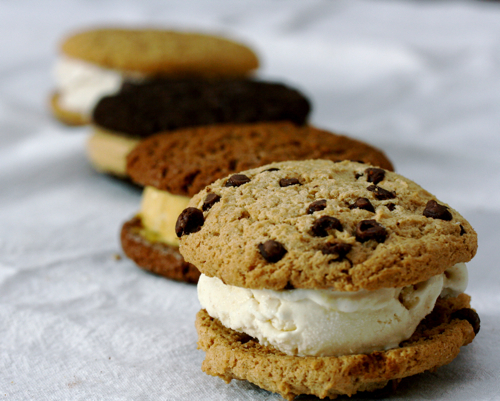 A cookiewich at Babycakes costs $5! Perhaps it is because I remember gluten filled cookie sandwiches costing only $1.25 as a child that I had difficulty handing over the cash for these. Of course, once I bit into one, I knew that it was worth it. I'd really like to see the company created a double chocolate flavor with some mint in there -- I'm a sucker for the combination of chocolate and mint. Until then, I'll definitely visit Locali and pick up a Double Chocolate Salted Caramel when I'm craving a treat. 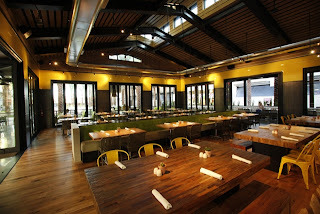 While vacationing in Arizona, my parents were on a mission to find me a great gluten free restaurant that I could blog about. While we happened upon some (La Hacienda and True Food), they picked out Picazzo's specifically because the restaurant has an extensive gluten free menu. To describe the restaurant's gluten free menu as extensive may actually be an understatement; Picazzo's offers things that I've never seen before on a GF menu, namely cheesy garlic bread. I knew I had to give it a whirl and convinced my sister to indulger alongside me. The baked wings and meat balls are gluten free and most pizzas can be made gluten free. Amazing! Sadly, the bread was just okay. It was basically just bread with cheese on it; I could have gone for a stronger garlic flavor and perhaps some tomato sauce on the side. We ended up slitting one slice and that was about it. The pizza, on the other hand, was amazing. I went for the Pesto and Artichoke pizza, served with organic pesto, sun dried tomatoes, mozzarella, artichoke hearts, roasted garlic, pine nuts, and goat cheese. It was absolutely incredible! 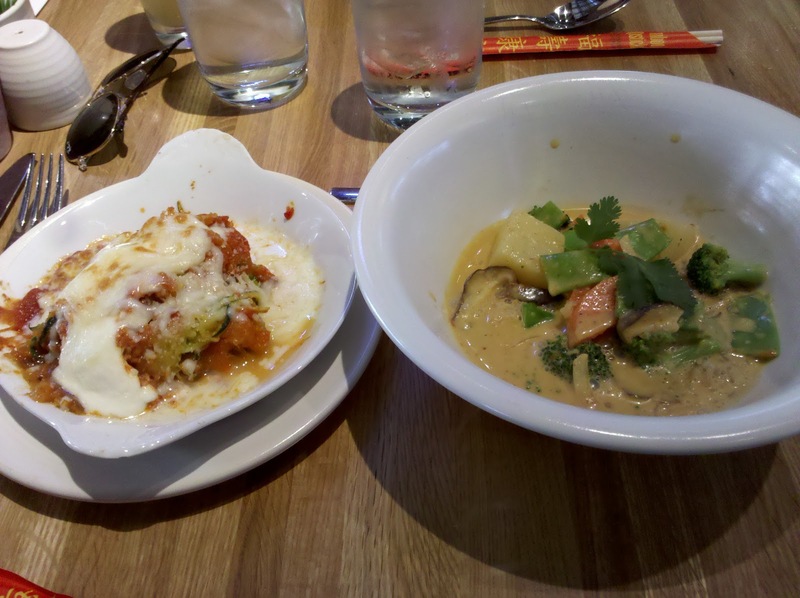 I would definitely go back to Picazzo's if I am in the Phoenix area again. Regular readers of this blog know that I love Babycakes. With tons of gluten free treats in New York, Los Angeles, and most recently Disney World, Babycakes has got you covered (they deliver too!). 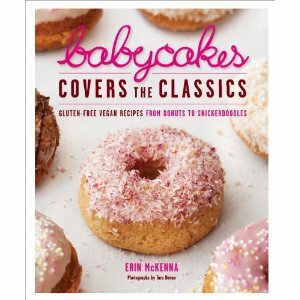 Babycakes has previously released a guide to creating your own Babycakes treats at home -- you can check it out here . I was recently contacted by Larabar after writing this blog post about my love for the company's products. The woman I have been conversing with, Erica, has been extremely kind in allowing me to delay this post until well after the holidays. I've been traveling for quite some time (look for more blog posts soon about those non-Los Angeles GF adventures!) and she has been patient with me while I delayed. I'm so excited for five lucky readers to experience the awesomeness that is Larabar. The flavors included are Peanut Butter Chocolate Chip, Chocolate Chip Cookie Dough, Lemon, Key Lime Pie, Ginger Snap, and Peanut Butter Cookie. You will definitely be satisfied by this awesome giveaway. Of course you are probably now wondering -- how do I enter? It's very simple; just leave a comment on this blog post including your e-mail address by MONDAY, JANUARY 24TH at 5PM PST. The comment should be one of two things: either your favorite Larabar flavor (and don't worry, I won't be offended if it isn't one I chose for the prize pack) or brainstorming a new Larabar flavor. Please DO NOT FORGET to leave your contact information in the comment (e-mail address). I was a little upset the other day, after purchasing the new Blueberry Muffin flavor, when I arrived back to the hotel room in which I was staying to see that my friend Travis had devoured it! I'm definitely on the hunt for that bar here in Los Angeles, although I've noticed that the Chocolate Chip Cookie Dough and Chocolate Chip Brownie seem to be in short supply here... I hope the same doesn't ring true of Blueberry Muffin! 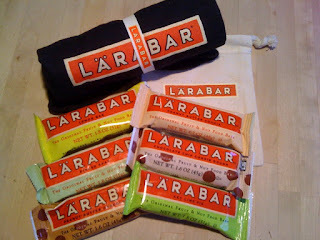 Thanks again Erica and the Larabar team for engineering a great giveaway. I'm really excited about it! I stumbled upon Purume while wandering around with a fellow new-new yorker near Union sq. When I saw that they had gluten free penne with pesto and mixed vegetables and an assortment of vegan options (dairy and I aren't best friends either) I knew I'd found a gem! I was really in the mood for something savory, and the pesto penne was perfect. Great flavor, totally dairy free, not too heavy, and tons of fresh vegetables. Their gf menu isn't super extensive, but I'm they have some hearty soup and stir fry options too. After round 1, I read some reviews online that weren't that stellar. Don't be fooled! The service is good, and they're really nice and attentive. Don't expect to pop in for a quick bite because they just don't move that fast, but you won't be ignored either. They're funky too - our waiter presented the dessert menu to us by bringing over the chalk board of specials and doing some grand gesture a la Vanna White. We didn't order any, but we kind of clapped for the show. I wanted to try out their brunch and polish my own opinion of Purume. I had the tofu scramble with salmon and carrots, and while it looks like a bowl of mush, it was a delicious bowl of scrambled goodness. It was a nice alternative to the usual omelette brunch. Again, gluten free, dairy free, and delicious! It came with sweet potatoes and a little salad. My friends got the falafel wrap (vegan) and the fruit pancakes. Warning - the pancakes were really dense. Like stick to my mouth with fruity deliciousness dense. They also have two types of syrup to choose from - pure agave and maple. So there's something there for your non- gf friends to enjoy too! It's cozy, welcoming, tasty, and definitely worth a visit! A long time ago (too long!) 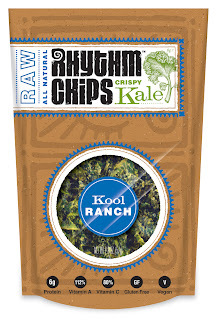 I was contacted by a PR representative from Rhythm Superfoods; she offered to send me some samples of Kale Chips so that I could check them out. The Kale Chips are raw, gluten free, and vegan. I was sent three flavors of them: Kool Ranch, Bombay Curry, and Zesty Nacho. I was first introduced to the delicious flavor of Kale Chips by old roommate, Vanessa. She would always bake kale in the oven and a great treat would pop out from the oven a bit later. They were easy to make, but I haven't attempted them since she left me for the greener pastures of Washington, D.C. 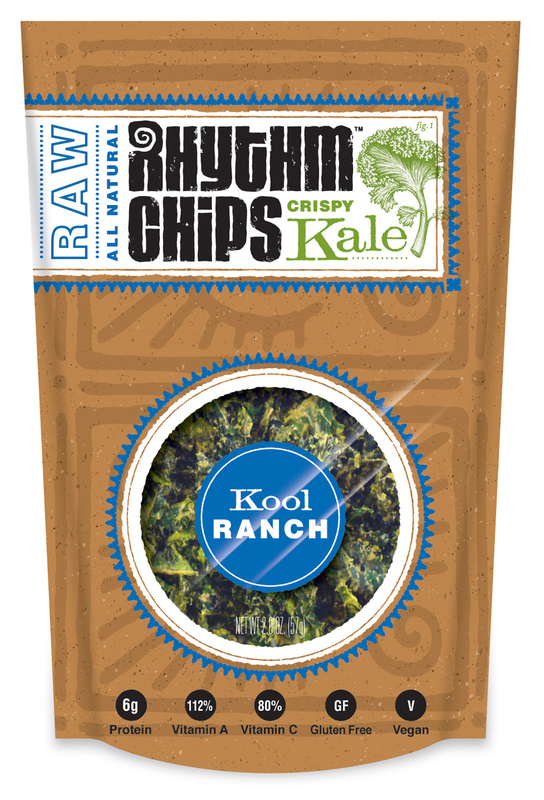 Anyway, I was excited to try Rhythm's Kale Chips and I wasn't disappointed. The chips taste great! My favorite flavor was the Kool Ranch. My only complaint about these chips is that they became very crumbly very quickly; definitely handle the bags gently so that many of the chips stay intact before you have a chance to devour them. These are a great, healthy alternative to potato chips for your next party or get-together. Since finishing the samples bought to me, I've served up bags at other events and they have always been a hit! As my family and I were driving around Scottsdale, my sister spotted True Food at a shopping plaza and suggested we stop in for lunch. After walking around Kierland Commons for a little while, we drove across the street to True Food. When we put our name in we were told there was a 25-30 minute wait; in the interim my sister and I checked out Niketown and an Apple store. The space was large and felt very comfortable; it wasn't too brightly lit nor was it too dim. The Arizona sunshine didn't hurt things, of course. The menu had a lot of gluten free, vegan, and vegetarian options, and everything was marked as such. Better yet, the waiter told me that the items marked gluten free are not modified to accomodate gluten free eaters; instead, the original recipe is gluten free. This is great news because it creates less chance for a mistake in the kitchen. I once had a waiter slip up and bring me the gluten-filled version of a dish I ordered at P.F. Chang's. The waiter quickly ran out after bringing the dish to me and stopped me from eating too much, but it was still nerve-wracking to see just how simply a mistake could be made. Anyway, my sister and I decided to split the Panang Curry and Spaghetti Squash Casserole. You can check out the full menu here. The dishes were delicious! The curry was great, especially on a "cold" day in Scottsdale (read: 60 degrees and sunny with a bit of wind). The casserole was also delectable; my sister favored the casserole while I really enjoyed the curry. When at True Food I also noticed that there is a location in southern California at Fashion Island. If I'm ever down in that area, I'll definitely head to True Food for some sensible eating. The menu is filled with great gluten-free options, so many that it was hard to decide which ones my sister and I were going to split.